Night at the Museum: Secret of the Tomb is an American adventure comedy film, which was premiered in 2014. 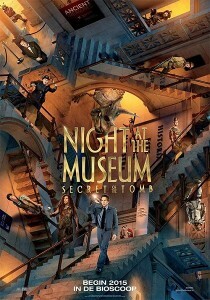 It is the third and final part of the series Night at the Museum. 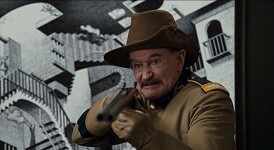 The film stars Ben Stiller (as Larry Daley), Robin Williams (as Theodore Roosevelt), Owen Wilson (as Jedediah), Dan Stevens (as Sir Lancelot) and Ben Kingsley (as Merenkahre). 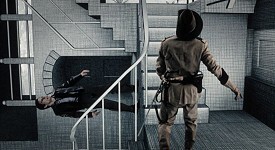 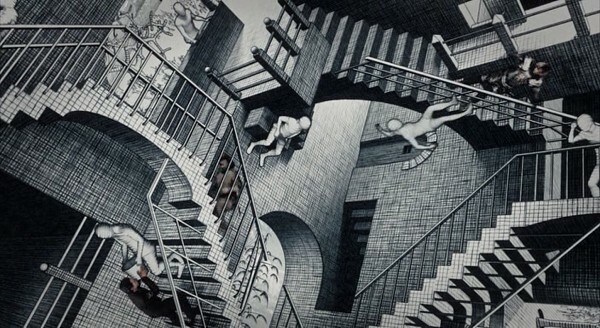 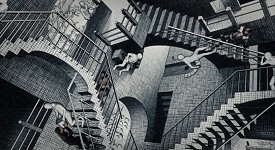 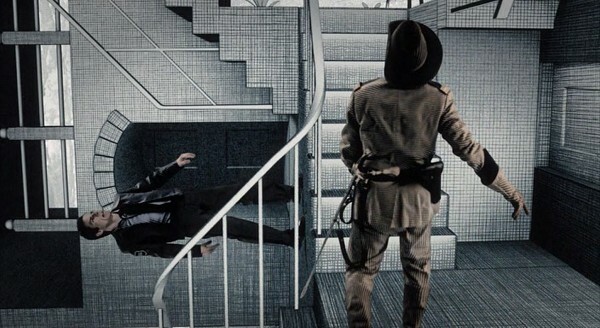 During the film Larry Daley, Theodore Roosevelt and Sir Lancelot fall inside the Escher's artwork "Relativity". 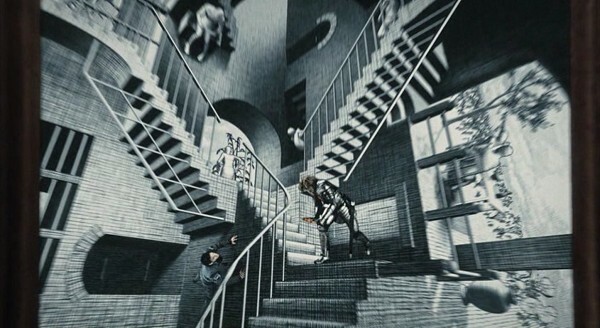 Screenshots of this scene are presented below. 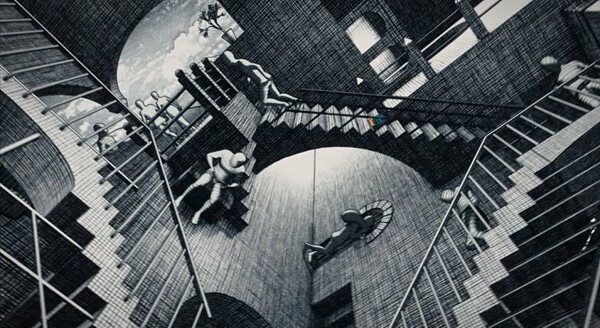 Poster of the movie is also based on the same artwork.